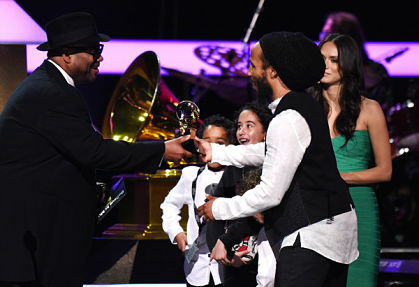 WINNING STREAK: Celebrating with his wife and kids aside, Ziggy Marley’s fans were foremost on his mind following his big win at Sunday night’s Grammy Awards in Los Angeles, where he copped Best Reggae Album for the sixth time in his illustrious career. Ziggy’s eponymous latest album, which has spawned hits like “Weekend’s Long and “Amen” (performed during Sunday night’s telecast), bested a field of five worthy contenders, completed by Raging Fyah, Devin Di Dakta & JL, J. Boog, Soja and Rebelution, to bag the golden gramophone. 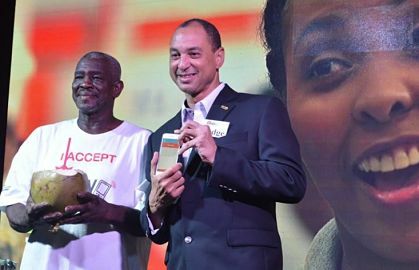 Post-ceremony, the 48-year-old messaged his Twitter fam saying, “Giving thanks to the @RecordingAcad for the honour, my family, and all the artists keeping #reggae alive and well.” Meanwhile, Brit superstar Adele was the toast of music’s biggest night this year, taking home trophies for Album of the Year (25), Record and Song of the Year (“Hello”). TAKING CARE: “It is very critical that our nurses be recognized for planning, implementing and evaluating our health care nationally, regionally and internationally. 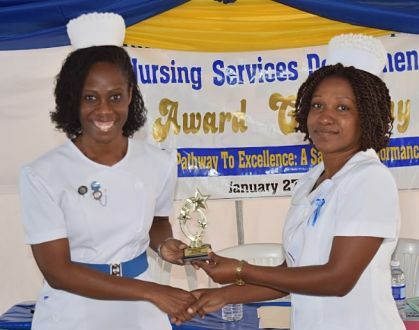 This is particularly important in a time of complex changes in the health services.” So says Angella Thomas, Director of Nursing Services at the Mandeville Regional Hospital, which recently honoured 150 nurses with awards for their dedication and committed service. 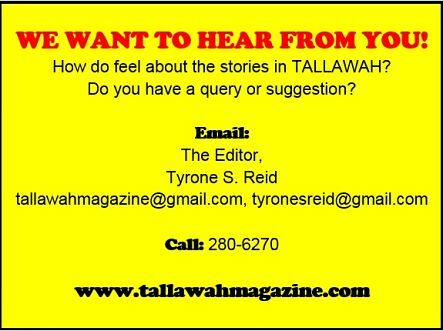 And because there’s always room for improvement, Thomas says other initiatives are currently being worked on at the hospital, but priority is being given to the training, recruitment and education of staff nurses to heighten the quality of health-care service they provide.